You can play Battlefield 1 on PC or Xbox One for free from March 3 - 5. On PC, simply boot up Origin and select the Battlefield 1 trial. You'll get 10 hours of play time with 4 multiplayer modes on 5 maps. You can also play the first two War Stories of the game's single player. Xbox One gamers get a bit of a better deal. Their free weekend is via Xbox Live Gold's Free Play Days, and rather than being restricted to 10 hours of play time, can play as long as they like in both singleplayer and multiplayer over the weekend. 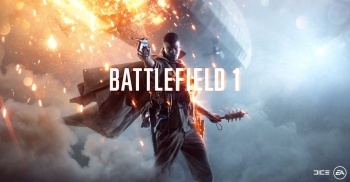 If you find that you enjoy the game, EA is also having a substantial sale, with Battlefield 1 being 50% off. All progress you make in the trial version of the game will carry over if you decide to purchase.